Take advantage of our £55.00 price reduction by booking our 1 day Excel Essentials and 1 day Excel Intermediate courses together on consecutive days. 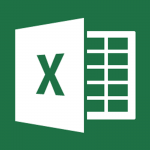 Click on the Excel logo for full details about Excel Essentials course. Click on the Excel logo for full details about Excel Intermediate course.